It may never have been made into a movie like Scott Pilgrim, but what comic artist Jason Loo dubbed "Toronto's pretty decent superhero" has garnered a pretty decent following over five years. 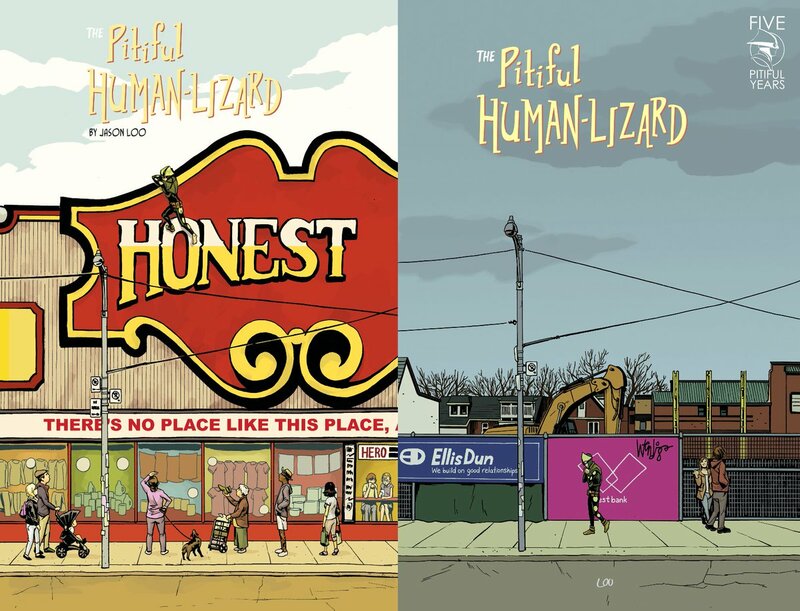 He'll be wrapping up his Pitiful Human-Lizard comic book series this spring with the last print edition coming out at TCAF, taking place May 11 - 12. The project began way back in 2014 with a Kickstarter, Loo going on to produce 21 issues and 14 mini comics of PHL. The series was known for its depiction of some of Toronto's most iconic settings and characters. "I'm wrapping up the series because I want to focus on other comic projects away from superheroes and maybe dive into horror again. I felt I've done almost enough with the Pitiful Human-Lizard series in the last five years," Loo says. A preview of a page of the print release of Some Heart Left from Jason Loo's Instagram highlights. "I think fans and even new readers will appreciate the conclusion of the series in Some Heart Left," he continues, referring to the conclusion's title. Comic aficionados might be able to spot previews of a page or two of the print release of Some Heart Left on Loo's Instagram in his story or highlights. Loo's new horror-drama minicomic She's Always With Us. "Last summer at Fan Expo, I debuted a horror-drama minicomic called She's Always With Us and it went over really well even though I told readers little to nothing about it. I plan to work on a sequel this summer," hints Loo. But what of our friendly neighbourhood Human-Lizard? "I may do a random PHL gag comic here or there for the internet, so it's safe to say he won't die in the end."